Free wedding magazines are a great free resource for planning your wedding. They're packed with all the latest ideas on dresses, flowers, invitations, and beautiful ideas to help you plan the perfect ceremony and reception, as well as everything in between. If you buy a wedding magazine, you'll most likely have to pay $5-$10 per issue or around $20 for a year's subscription. That can be quite a chunk out of your wedding budget for something that you're likely to throw away in a few months. Thankfully, there are many free wedding magazines out there for you to request any time of the year. 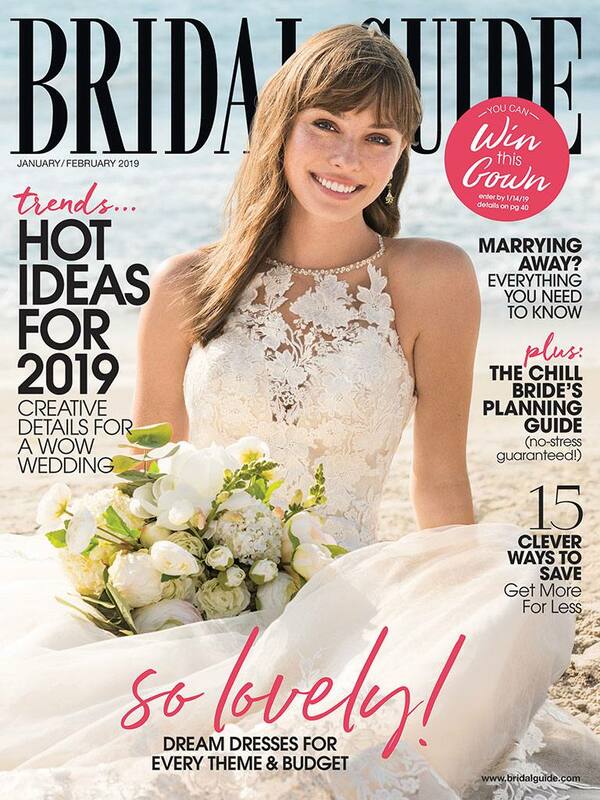 Below you'll find a list of the latest free wedding magazine subscriptions as well as a detailed list of other ways you can get wedding magazines for free. Here's where you'll find the free wedding magazines that you can request right now. All of these wedding magazines are completely free, with no strings attached. Fill the mailbox full of wedding catalogs. Very similar to wedding magazines are free wedding catalogs. Although they're trying to sell you something, these are packed with ideas for your wedding. Check out wedding magazines from your local library. You can't keep them, but you can make a copy of anything you'd like to hang on to. Sign up for a free trial of the wedding magazines. Many of the wedding magazines have free trials. You can subscribe and then cancel before you're charged. You should be able to get 1-2 free issues this way. Post an inquiry on Craigslist for free wedding magazines. You may just find someone who's wedding is over and is ready to do some spring cleaning. Ask a fellow bride. If you know some other women who are getting married, ask them if they subscribe to any wedding magazines. They'll probably be more than happy to hand over a stack that they've already read. Keep your eyes open at bridal shows. Bridal shows are a great place to pick up wedding freebies. This includes free subscriptions to local and national wedding magazines. Forget the wedding magazines altogether. If you can't get your hands on a free wedding magazine subscription, Pinterest is a great place to browse for hours of wedding inspiration.